Steel Suction Strainer - 2"
Connect the Steel Suction Strainer onto the inlet you pond pump to help prevent the impeller from being blocked by large debris. The heavy duty steel design prevents corrosion, providing years of use. 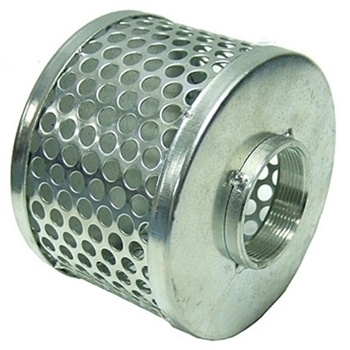 1 1/2" Strainer Dimensions: 4" x 5"
2" Strainer Dimensions: 4 1/2" x 6"